ABA members – Did you know that Absolutely Applewood! https://www.absolutelyapplewood.com/ is a website that ABA maintains to help promote your business to our neighborhood consumers? We put in many efforts to market this website by mailing out our print directories twice a year, promoting on Facebook, and advertising on other print media such as Neighborhood Gazette and Transcript Newspapers. We host special sales events throughout the year to attract shoppers and increase traffic to the website. As an ABA member, your listing is automatically included in the “Shop Applewood” section of the Absolutely Applewood! website as a part of your membership benefit. You have a complete access to your business listing and you are encouraged to log in and update your information on the listing with seasonal highlights for shoppers to find out more about what you have to offer. You are also invited and strongly encouraged to post Hot Deals and submit your events so we can include them on the Absolutely Applewood! website. – This information is also included on our newsletters, so we’ll help you get the word out! Posting Hot Deals now is particularly important, because we are planning our 2nd annual “Virtual Sidewalk Sale” from Flag Day, June 14 through the Independence Day weekend, July 7. It is a great opportunity to attract our neighboring shoppers to your business – with no extra advertisement dollars spent! Please take a few minutes today to post your deals. You can even schedule your deals you will be offering in future. Please follow this link for the step-by-step instructions. The Applewood Business Association invites you to help celebrate Flag Day! Each year, the ABA sponsors the placing of American flags along Youngfield St. and along 32nd Avenue from Flag Day (June 14) through Independence Day (July 7th). A special thanks to Prospect Recreation and Parks District who places and removes the flags. The ABA is reaching out to its membership and local businesses seeking sponsorships of $50.00 per flag for a basic sponsorship and $100 per flag for a premium sponsorship. Each participant at the basic level will be entered to win a drawing for an American Flag and stand. Each premium sponsor will be recognized at upcoming ABA events and publications, as well as receive an American Flag and certificate commemorating their support! Proceeds from the sponsorships will be used to help fund the AbsolutelyApplewood.com campaign to highlight and support Applewood businesses. Flags are not limited, you may sponsor as many as you want. The American flag & stand will be generously donated again this year by Lori Bush-Engel of Modern Woodmen. The winning entry will be selected at the July ABA Board of Directors meeting from all entries and the winner notified by phone or by mail and a presentation will be made at the ABA Luncheon on Thursday, July 12th at Rolling Hills Country Club. Sponsoring a flag on the ABA website is easy. Log in at applewoodbusiness.com with your username (email) and password. On “Member Dashboard”, click on “RSVP for an Event or Meeting” on the left. Go to check-out. Please enter at least “1” for quantity for Flag Sponsorships and your credit card information. For guests and non-ABA members, simply mail your entry form today or sign up online at www.applewoodbusiness.com. Your participation celebrating our Flag and Country’s independence, and continuing support of the ABA is very much appreciated! Hormones play an important part in women’s health – including puberty, pregnancy and menopause. But hormones are responsible for so much more! Enjoy dinner and discussion as you learn about the hormones in your body, what happens when they become out of balance, and what you can do to help eliminate symptoms you’re experiencing due to hormonal imbalance with this educational evening. This evening is part of the Candid Conversation series – a series of events ranging from informal happy hours to more structured lectures. To learn more please visit www.lutheranwomenswellness.org. Please join us for May After Hours at Elle B. Salon! Well crafted video for your business can set you ahead of the competition, build trust and connection with clients, and bolster your social media. It’s the fastest growing form of content on the internet, and also the most popular. But is it for you? Shooting a video “just because everyone is doing it” won’t do much for your business. In fact, done poorly, it could cost you clients! So how do you decide if you should have video for your business, what the content should be, and if you need the help of a professional? Join us for this matinee presentation with beers and jeers! Ask anyone in marketing what they think the most important factor is and they will all say the same thing…CONTENT. But what the heck is good content, and how do you create it? Content isn’t just writing blogs and knowing your grammar. How you choose and use your content can be even more critical than using spellcheck. With so many confusing and conflicting opinions out there, what do you do? • Blog or not to blog? It’s true that content is king when it comes to SEO, social media participation, and trust building with your target audience. That doesn’t mean it has to be a tyrant ruler in your business. Join us for this meetup and find out how to make content easy, simple and fun for you and your customers! The ABC’s of the ABA, come learn how to put all of the ABA’s powerful tools to work for your business. We’ll show you how to utilize the ABA Websites to build your free Profile and set up your marketing to ABA Members and the Applewood Marketplace, how to access the various ABA Committees and events for building your networking and to maximize your exposure, how to access the ABA Directory and other free and low cost advertising opportunities and much, much more! Limited space available. Please register and pay online before we sell out. Jason T. Slowinski was appointed City Manager in September 2015 and is the ninth City Manager in the City of Golden’s history. Immediately prior to joining the City of Golden, Slowinski served as Village Manager for Lake Zurich, Illinois (2012-2015) and Assistant City Manager/Acting City Manager for Des Plaines, Illinois (2008-2012). Slowinski lives in Golden with his wife, Stephanie, and two school-aged daughters. Slowinski is recognized as a Credentialed Manager by the International City/County Management Association (ICMA). Slowinski earned a Bachelor’s degree in Business Administration from the University of Wisconsin-Milwaukee and a law degree from The John Marshall School of Law in Chicago. He has also completed graduate studies in public administration at Northern Illinois University. The Applewood Business Association is an active member of the Jefferson County Business Lobby, the unified voice of 3,000 Jefferson County businesses advocating for public policies that strengthen our economy. We wanted to give you a preview of some of the business issues on which the JCBL is engaging at the State Capitol in Denver as the 2017 Colorado General Assembly gets underway. The dynamics of the Legislature will, for the third year in a row, be dominated by split partisan control. Democrats retained control the State House of Representatives while the Republicans hang onto their slim one seat majority in the State Senate. Split control means both parties have to work together to accomplish anything of significance. Remarkable agreement exists between the Democrats and Republicans on the major problems facing the state – such as inadequate transportation funding and escalating housing costs – but finding agreement on the solutions to such problems have been elusive. New Transportation Funding: Colorado is one of the few states in the nation not dedicating state General Fund dollars to transportation infrastructure. The Colorado Legislature must find new sources of transportation funding for the short, medium and long-terms. 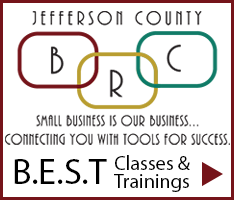 Attracting and Retaining Skilled Employees: The shortage of skilled employees in Jefferson County and around the State is actually becoming a drag on economic growth. Colorado needs better training for skilled employees. And we need to fix the broken litigation system that is preventing the construction of new, affordable, housing. Fostering a Strong, Competitive Business Climate: While Jefferson County’s economy is strong today, the Legislature must provide effective economic development incentives, lower regulatory burdens and reduce lawsuits if we are to withstand future downturns. We will keep you updated on the Legislature’s progress on these important business issues through out the 2017 legislative session.